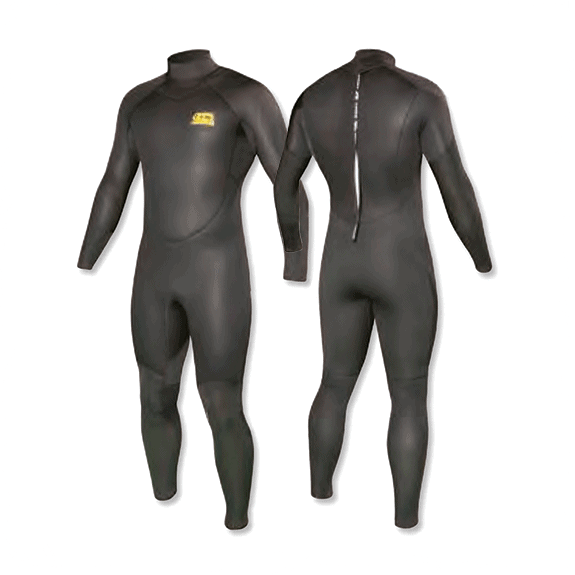 Coasteering prices include the use of our kit; a wetsuit, helmet, buoyancy aid, wetsuit gloves, socks and hoods. A number of frequent visitors are keen to buy their own kit, seeking our advice about pricing and what’s suitable. Here’s a guide to the Coasteering kit we supply for our adventure activities. PALM Easy Classic Buoyancy Aid The Easy Classic is easily doned and taken off due to the front zip access. It also incorporates a tough 550 denier cordura shell that ensures longevity of life. When the buoyancy aid is in place there are adjustable shoulders to reduce any chest space. There is also an adjustable waist strap, that due to the 3 dimensional cut of the buoyancy aid will stay in contact with the waist to make sure that it does not rise up when in use. 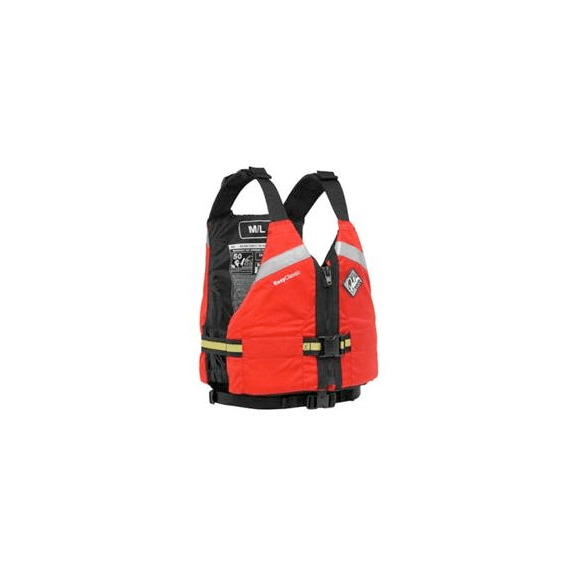 There is then also a 40mm chestbelt that will help to take in the last bit of space to make sure that the consumer is wearing a snug close fitting PFD. 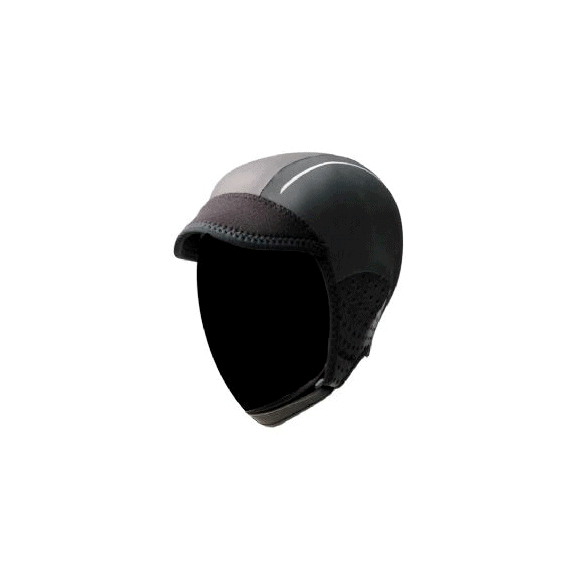 Palm AP2000 Watersports Helmet The Palm AP2000 watersports helmet is ideal for sports such as canoeing and kayaking. It is also perfect for the developing sport of coasteering. 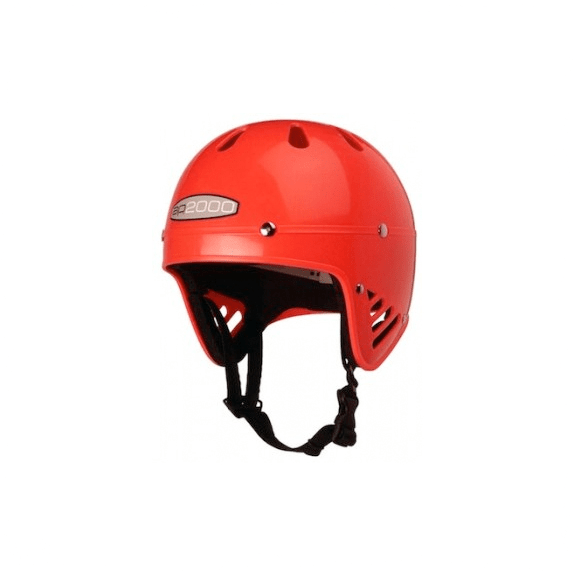 Palm Equipment have developed the AP2000 canoeing helmet to be ideal for the entry level kayaker, it is also perfect for use in outdoor centres and youth groups. The basic features of the AP2000 are… Its easy to adjust, Its tough and hardwearing, It represents very good value for money, but most importantly it offers lots of protection. 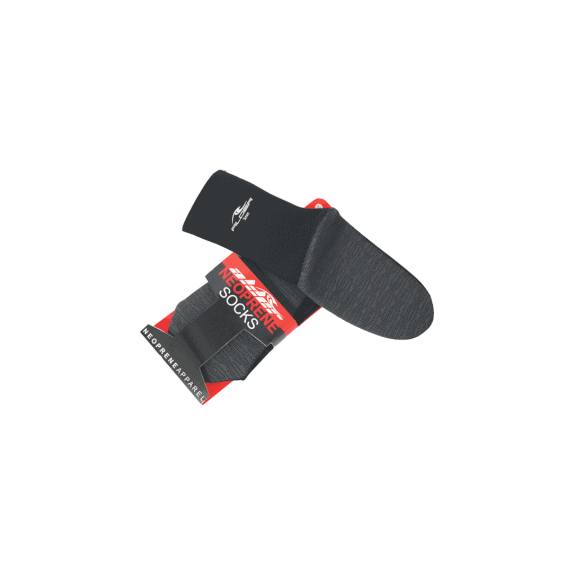 Alder Impact Wetsuit Socks Alder Impact Wetsuit Socks are great warm wetsuit socks that can be worn inside trainers/boots to keep feet warm (and protect your ankle bones from scrapes and bumps. 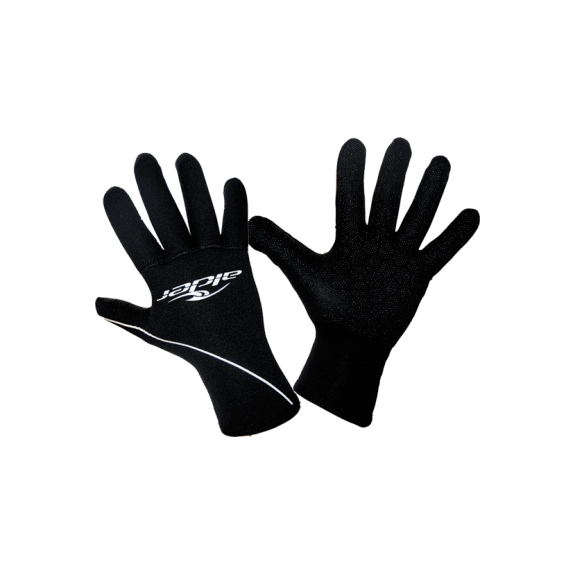 Alder Edge Wetsuit Gloves The Alder Edge Wetsuit Gloves are strong double lined to keep your hands warm and protect from sharp barnacles & rocks. Alder Stealth Neoprene Wetsuit Hat Wearing a wetsuit hood/hat makes a huge difference to heat loss while coasteering. Especially if you plan to spend a lot of time in rough water…no more ice-cream head! An old pair of trainers Old trainers are ideal for coasteering as they are usually snug fitting – won’t fall off in the water. 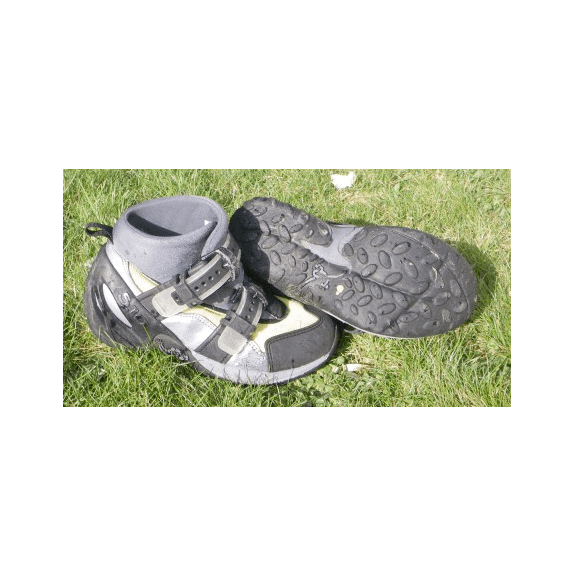 Have a robust sole, this will stop you bashing your toes on rocks and ensure comfort walking over gravel or sharp uneven ground. 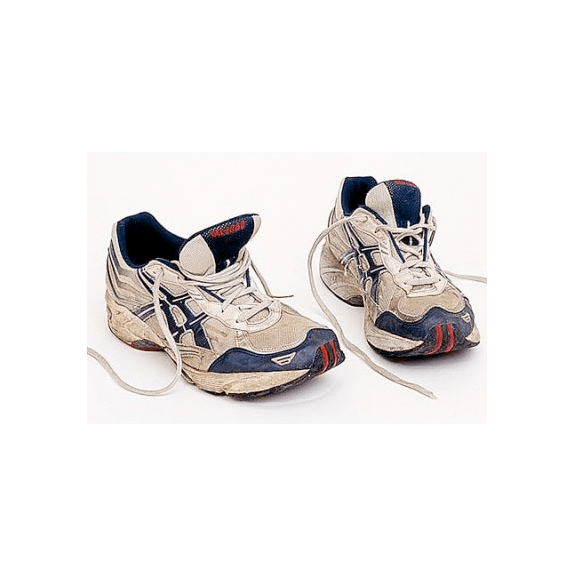 A running style shoe is preferable to daps, as they have more tread, which can mean more grip on the barnacle covered rocks. Our Guides footwear of choice For those who do a lot of Coasteering, it’s well worth investing in a pair of 5:10 Canyoneer II Boots. In short these boots are the nuts when it comes to Coasteering. They’ve got the lot….comfort..ankle support..easy adjustment (even with chilly hands)..super grippy sole (makes you feel like spiderman out there! )..tough (i’m currently going through one pair a year, and that’s with a lot of use!).. Sadly they are super hard to find retailing anywhere as Five Ten no longer make them. You might lucky and snap up a pair on an auction website. 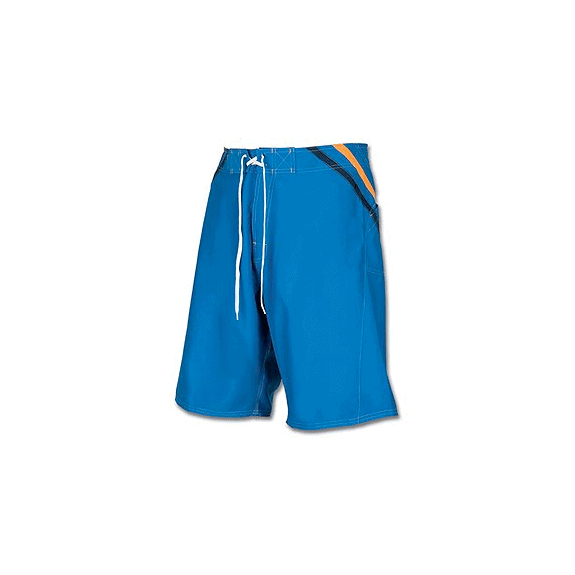 An old pair of shorts Worn over your wetsuit, old shorts can protect the seat area of your wetsuit from nicks and dings while scrambling about on the rocks. Don’t forget its all about looking good out there folks! !